At upwards of $25 a pound, the 2 1/2- to 3-lb. 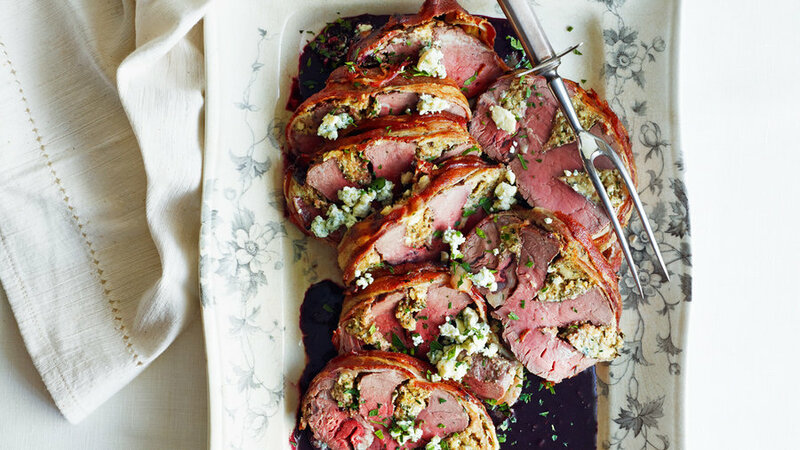 center-cut beef tenderloin for our Gorgonzola-Stuffed Beef Tenderloin with Port Wine Sauce (pictured) or Grilled Beef Tenderloin with Fresh Herbs is one pricey roast. 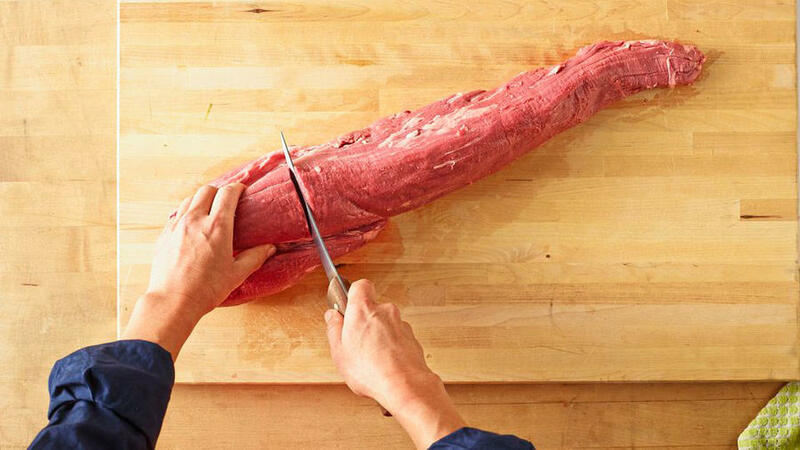 But you can get a price break per pound if you start with a whole tenderloin and trim it yourself down to the fancy cut. It's easy, and while you'll spend about $10 more to start with for the bigger piece of meat, you'll wind up with meat for two more meals. Here's how. Start with a 4 1/2-lb. 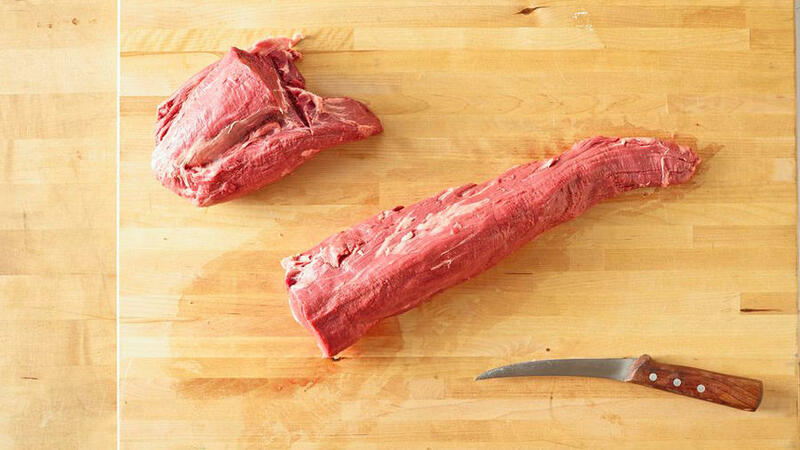 whole, untrimmed beef tenderloin. Working at the wider end, cut through the main muscle where it tapers down to about 2 1/2 in. wide. Save this scrap for the rice bowl meal. Still at the wider end, cut off this large side muscle. Save it for the steaks meal. Cut through the other end of the main muscle where it tapers to about 2 1/2 in. wide. Save the scrap for the rice bowl meal. Now you have a 2 1/2-lb. 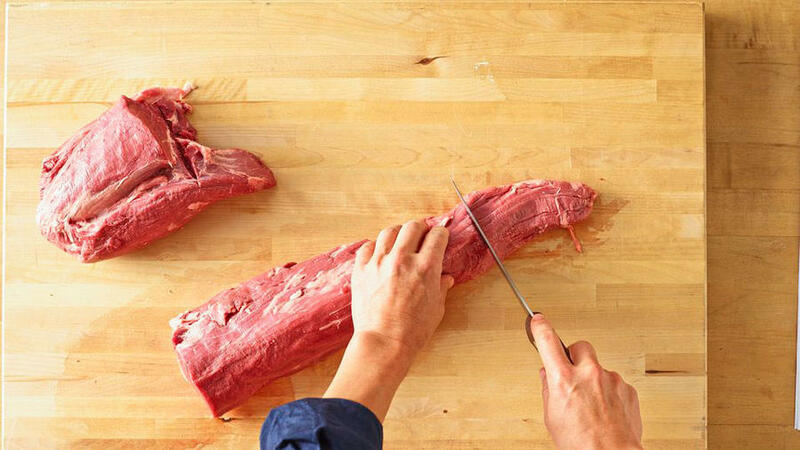 center-cut tenderloin. 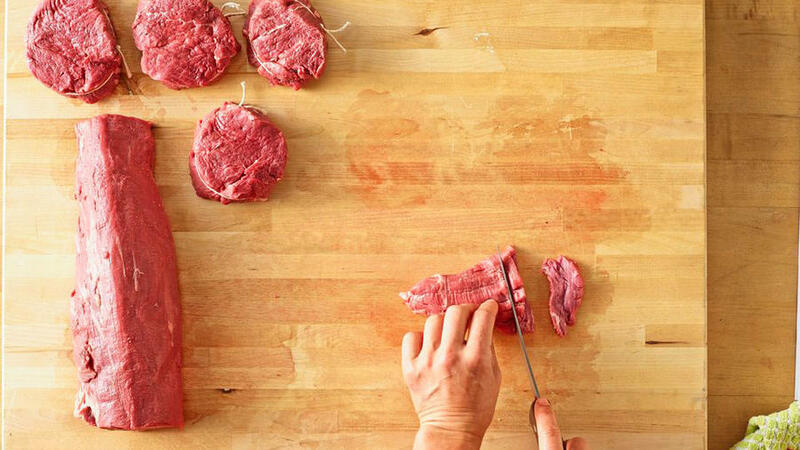 Trim off any large chunks of fat, and it's ready to use in our Gorgonzola-Stuffed Beef Tenderloin with Port Wine Sauce or Grilled Beef Tenderloin with Fresh Herbs recipe. 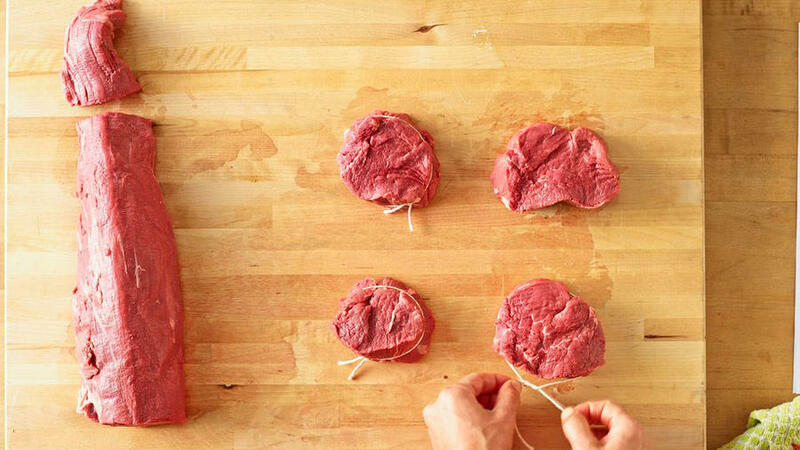 Pull butcher's twine snug enough so it begins to pucker; knot, then trim ends of string. 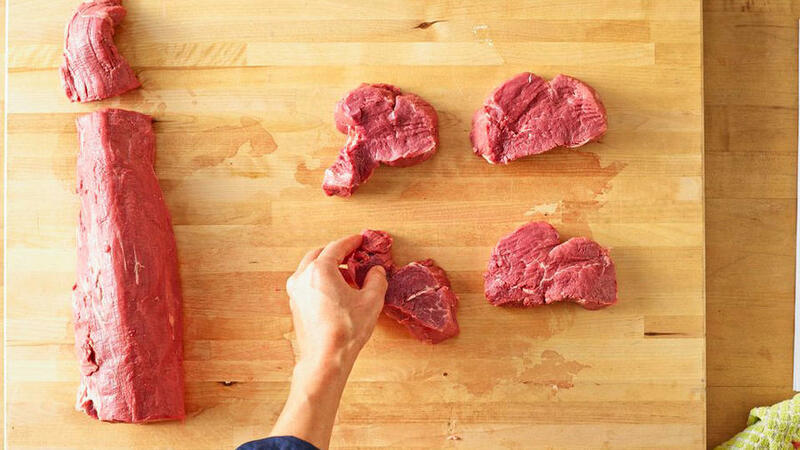 Generously season steaks with kosher salt and coarsely ground black pepper. Grill over hot coals or sear in a cast-iron skillet. 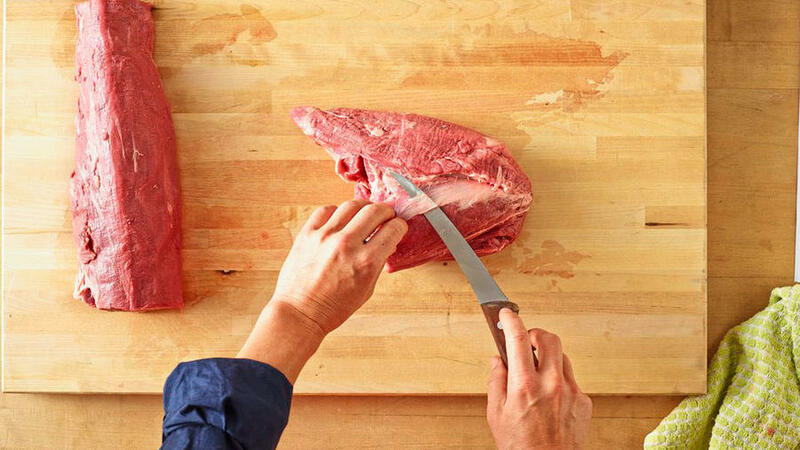 First trim off any silverskin or sinew, then thinly slice the meat across the grain. You'll have about 8 oz. 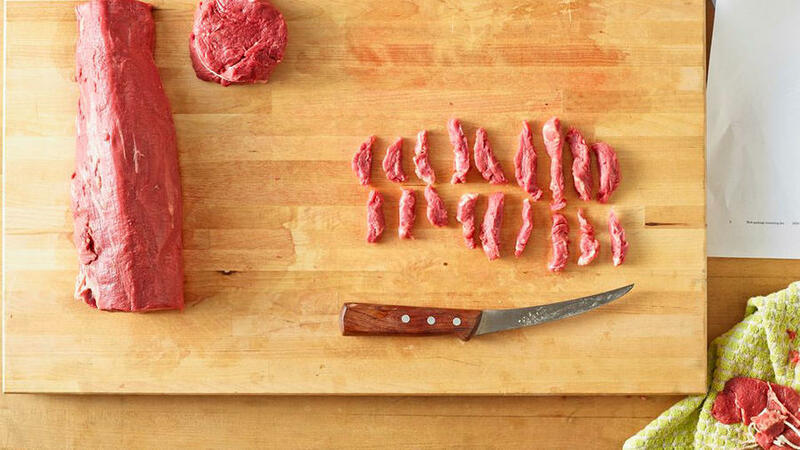 meat, ready to use in a half-recipe for our Korean Beef Rice Bowl, Sichuan Steak and Asparagus, or Beef with Tomatoes, Pasta, and Chili Sauce dishes.